The first decade of the 21st Century is drawing to a close. 10 years ago the world waited with anticipation for the year 2000. Some with hope, some with dread. Many thought the world would end either by God’s doing or by faulty computers. Remember Y2K? Anyway 2000 came and went as did 2001 for those crusty pedantic people who maintain 2001 was the real first year of the millennium – though all the big soiree were scheduled on New Year’s Eve 1999 (as Prince would have wanted it). Where were you when the new Millennium dawned? Were you partying it up like there would be no tomorrow as some prophesied or were you at home cleaning the guns waiting for the Apocalypse of civilization? 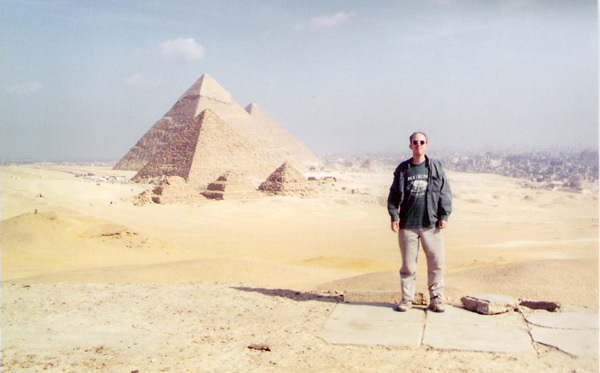 I was at a New Age Concert thrown at the Pyramids of Giza. For the 2001 New Years, I was working at a country&western club in Austin, Texas getting my lip chewed on by some tasty fillies. Post your comments or video responses on your memories of what you were doing when the Millennium(s) dawned. An account of my 2001 New Years’ experience and my disappointment of not having a hover car. Well the New Year has dawned and still no Apocalypse. Damn, I was so looking forward to rioting and looting! like a stripper at Chippendale’s than club security. a plan but at least I had one. tasty hides in my name. even Hell wouldn’t be so tacky.